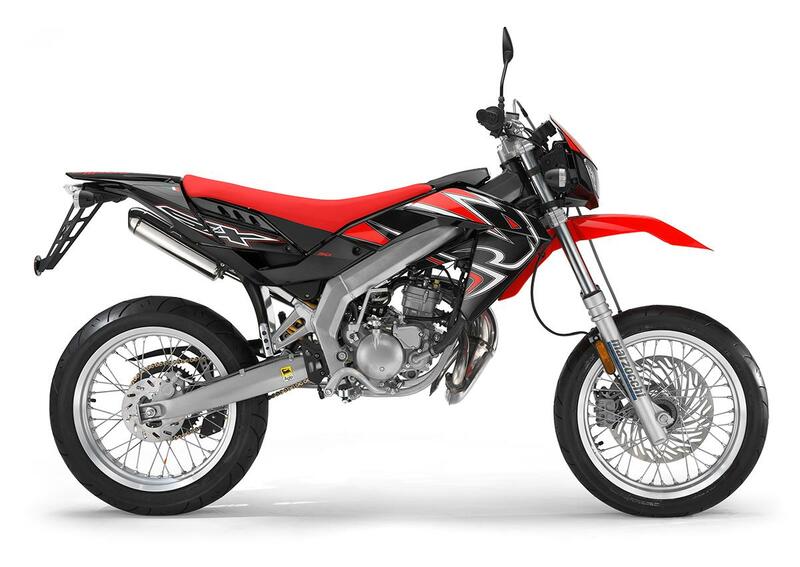 The SX50 is just as fun as its sportier sibling, the RS50, but is easier to use and much more comfortable - especially for taller riders. The chassis can handle way more than the 125cc lump will ever be able to throw at it, and as such it's great fun keeping the momentum up in corners. The suspension may be non-adjustable but it copes fine with hard cornering and braking. No amount of throttle or clutch slip will ever get the Aprilia off the line quickly, from then on up, however, it's a gas. Gather a bit of momentum and things get much better. Despite the single figure power output, the light, well-spaced gearbox helps keep the tacho needle firmly in the top half of the rev counter. Expect to see 60mph in top gear with the right conditions. If you buy a second hand SX50 then chances are it's spent most of its life being ridden hard by a 16-year-old who only put cheap oil in it. Check for signs it's not been looked after. At £2399 the SX is cheaper than the RS50 but offers the same performance. If you really want to look after it you'll have to use top quality two-stroke oil, which isn't cheap. Insurance group: 2 of 17 – compare motorcycle insurance quotes now. As you'd expect on a supermoto equipment is basic, with only the bare essential clock functions and non-adjustable suspension. But you don't really need anything else. 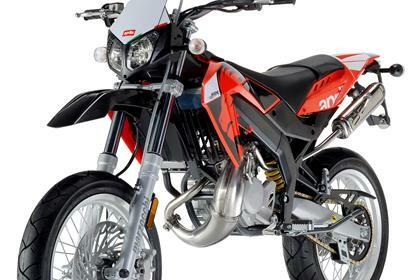 1 owner has reviewed their APRILIA SX50 (2006-on) and rated it in a number of areas. Read what they have to say and what they like and dislike about the bike below. Great riding quality and breaks are efficient. Isn’t amazing but it’s a two stroke. But great quality engine. I have had a few issues on the top end of the bike. Had a new gasket and piston set (but the bike was secondhand). MotoGP: Qatar result to be decided in court? 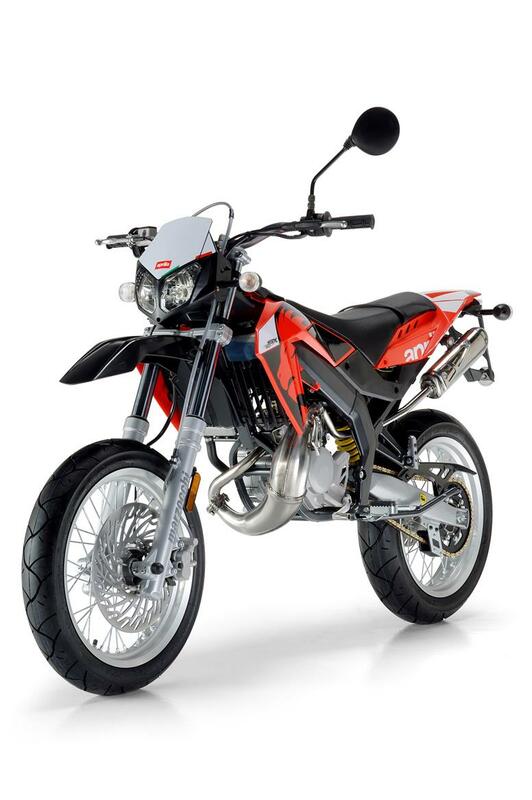 "The looks of a proper enduro bike, but none of the performance"
"Ultra-exotic V-twin that rocks on the race track but is a handful on the road"
"OK, in a F650/Pegaso sort of way, but you've got to love to weird looks to contemplate it"
"One of the coolest moped/trailie motorcycles on the block"
"Why buy a Ducati when you could have an Mille?" "A sort of half-scooter, half motorcycle designed to be the bike for all occasions"
"An excellent if flawed motorcycle which sells for an indecently low price"